It’s fair to say we have quite a healthy obsession with Japan and their craftsmanship/design. I think it’s easy to admire the fact that in many areas they’ve been driven by the concept of preserving their tradition and heritage of making. Unfortunately here in the West we’ve lost touch with many disciplines that others considered our bread and butter previously, so it’s refreshing to see this humble attachment to craft by Yukinori Jinnohara who has perfected the art of the Kokeshi doll. In saying all this I’m not disregarding all the talent that we do have here, personally our goal has always been to provide a comprehensive overview of craft and design. What I do wish we had more in the West however is the cultural attachment to certain creative disciplines, and I think we can learn quite a bit from looking at these traditional Kokeshi’s today. These dolls come in 11 styles and each area is responsible for producing their own design they are recognised for. Yukinori seen in the video below is from Tsuchiyu, so he uses a technique unique to this area of reversing the lathe whilst applying paint from a brush which forms a particular pattern. Sticking to tradition in this way and differentiating from one another the doll makers in these hot spring areas feel less competition against one another, in fact on the contrary they become united in one creative movement. 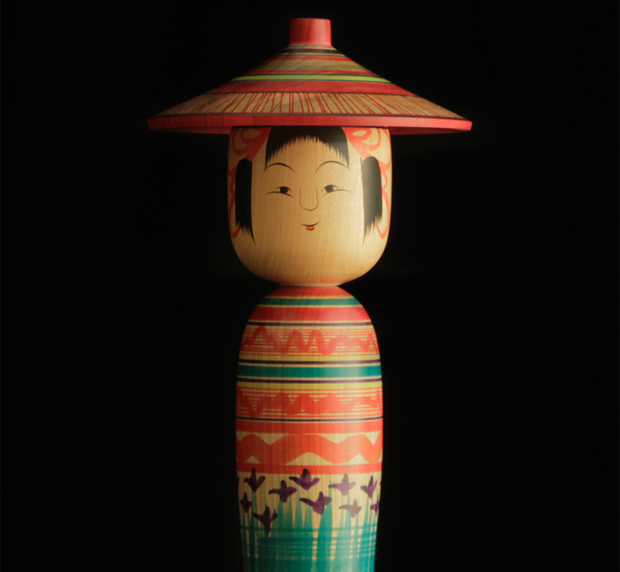 Many refer to Kamegoro Sukama as the first individual to make a kokeshi doll with his eldest son Yashichi bringing the turnable head into the design. The Sukama’s created these in the 1820’s so you can really appreciate how the local woodturners feel compelled to continue on this tradition. Aside from Tsuchiya the traditional styles are created in Yajiro, Togatta, Naruko, Sakunami, Zao Takayu, Hijiori, Kijiyama, Nambu and Tsugaru. If you’ve got the time and the interest after watching what we have here why not go on a little internet search yourself and compare the styles to one another. I really enjoyed seeing a glimse of these being made and hearing what Yukinori had to say about the tradition of his work, I just wished this had been a little longer as I’m sure he had lots more to say. Alas something is better than nothing, so watch below and enjoy! Sign up to our newsletter to receive unique design and craft from around the web.